NJBIA > NJBIA News & Opinion > 57th Annual New Good Neighbor Awards: Meet Our 2017 Winners! 57th Annual New Good Neighbor Awards: Meet Our 2017 Winners! Fourteen outstanding construction projects received New Good Neighbor Awards today for improving New Jersey’s economy and landscape. The awards recognized the visionary architects, builders and financing professionals who turned exciting ideas into reality. They were presented at a luncheon today hosted by NJBIA and New Jersey Business magazine at the Bridgewater Marriott. We invite you to meet our New Good Neighbor award recipients for 2017 by checking out these videos of their winning projects. Brickwall at Burlington, LLC. This $1.6 million project restored and repurposed the former home of the historic Endeavor Fire Co. as the new Brickwall Tavern restaurant in Burlington City. 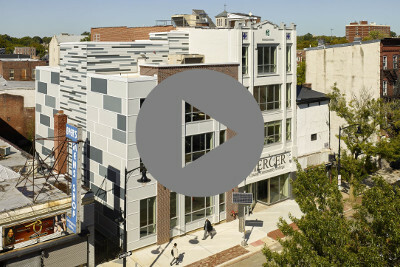 The project was designed by Watt Architects of Asbury Park and built by SMITH, a creative hospitality development collective based in Asbury Park. Bristol-Meyers Squibb, Lawrence Township. 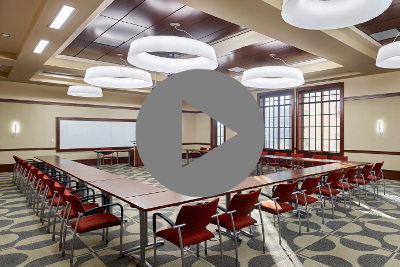 This state-of-the art LEED-certified facility on 135 acres on Princeton Pike consists of four office buildings connected by a common atrium and totals 555,525 square feet. The architect was Gensler of Morristown and the builder was Torcon of Red Bank. The Court at Hamilton, (Mercer Co.). 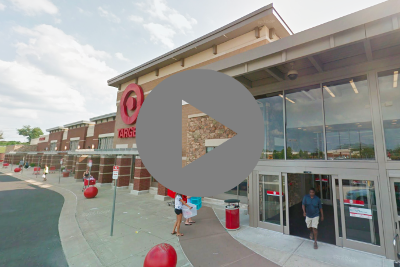 This $17 million redevelopment project took the desolate Suburban Shopping Center, where 90 percent of the retail space was vacant, and turned it into an inviting and thriving shopping center anchored by a 160,000-square-foot Walmart Supercenter. This transformed retail center was designed by JKRP Architects of Philadelphia and was built by Freedom Enterprise Inc. of Worcester, Pennsylvania. Glen Cairn Hall, Thomas Edison State University, Trenton. TESU’s new nursing education center is a $24 million redevelopment project that transformed a blighted 1920s apartment building that had been vacant for more than 20 years at the corner of Calhoun and West State Streets. The architect was Clarke Caton Hintz, of Trenton, and the builder was Epic Management Inc., of Piscataway. Kimmerle Group Headquarters, Harding Township. The firm’s architects, designers and project management company oversaw this $1.2 million transformation of a former bank building into their new Garden State headquarters. 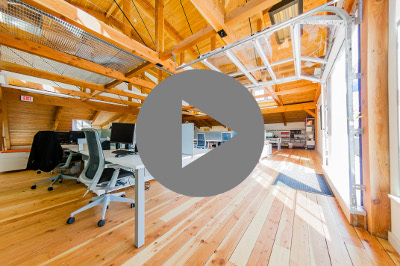 The project embraced green building materials and energy-saving principles, including geothermal heating systems and reclaimed barn siding that was repurposed to enhance the building’s exterior. 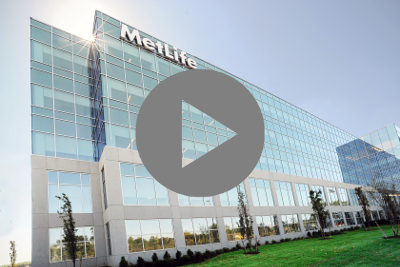 Metlife Investments Global Headquarters, Hanover Township. 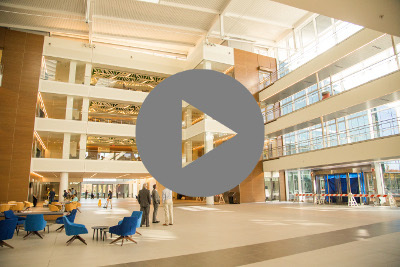 The nation’s largest life insurer’s new world-class global headquarters was crafted to meet the new generation of workforce standards emphasizing sustainability with a LEED Gold Core and Shell and LEED Platinum Interiors. The site, part of the 194-acre former Alcatel-Lucent campus, was designed by KA Inc. Architecture, of Cleveland, and the builder was Vision Real Estate Partners, of Mountain Lakes. GNJUMC Mission and Resource Center, Neptune. 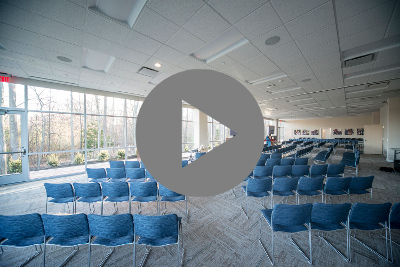 The Greater New Jersey United Methodist Church’s new 19,200-square-foot center includes 50 offices, 4,000 square feet of meeting rooms, worship space and a state-of-the-art video and sound production studio to enable the church to serve an even greater audience. The $4.95 million project was designed by Shore Point Architecture, of Ocean Grove, and the builder was Jack Green Construction, LLC, of Ocean Grove. Nemours duPont Pediatrics, Deptford Township. 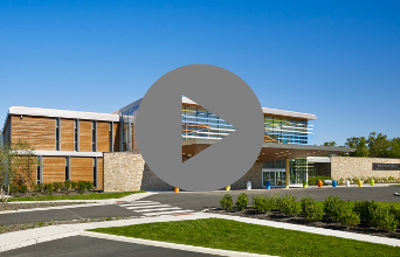 This 65,000-square-foot architecturally impressive outpatient facility handles 29 different pediatric specialties and includes two operating rooms, 10 specialized recovery rooms, therapy gyms and a unique adjustable-depth therapy pool. The facility, which created more than 100 well-paying jobs, also incorporated landscape design that protects surrounding wetlands and forests. 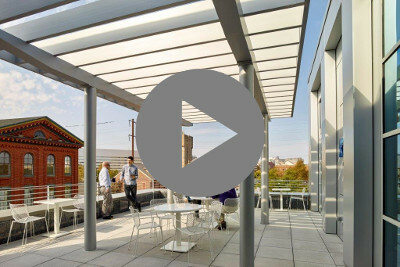 The building was designed by Array Architects of Conshohocken, Pennsylvania, and was built by the Whiting-Turner Contracting Co., of Salisbury, Maryland. New Jersey REALTORS Headquarters, Trenton. This project is a three-story, 22,000-square-foot structure of brick, pre-cast concrete and glass that was designed to be both forward-looking and reflective of the city’s historic industrial structures nearby. A cylindrical entry lobby connects to the core and a fenced-in outdoor patio tied to one of the ground-floor suites can accommodate social events. The architect was Clarke Caton Hintz, of Trenton, and the builder was Barr & Barr Inc., of Trenton. New Phillipsburg High School, Lopatcong Township. The design of this 326,000-square-foot facility off Belvidere Road takes full advantage of the site’s elevation and panoramic views of the Lehigh Valley and Delaware Water Gap. 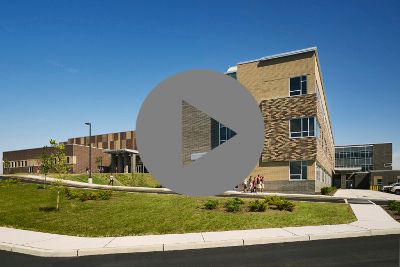 The sloped topography provides a first-floor entrance for students and a second-floor entrance farther up the hill for the community to access shared facilities, including a 1,000-seat auditorium, bookstore and gym. The project was designed by DIGroup Architecture, of New Brunswick, and was built by Epic Management, Inc. of Piscataway. Rondo-Pak/Contemporary Graphic Solutions, Camden. This $13.8 million technology center is a state-of-the-art corporate headquarters and manufacturing facility designed to maximize efficiency in production workflow. The facility, which employs 234 full-time workers, has the latest packaging technologies and an expanded employee training area. It was designed and built by the Bannett Group, of Cherry Hill. Spectrum for Living, Ringwood. 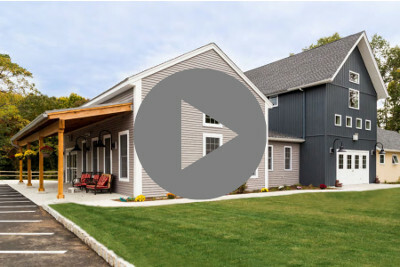 This $1.5 million project incorporated a historic barn on the property into part of a state-of-the-art daycare and education facility for people with developmental disabilities and exudes a farmstead aesthetic, rather than an institutional feel. The project was designed by Kimmerle Newman Architects, of Harding Township, and built by Carrickmore, of Blauvelt, New York. Trenton Hall & Trenton Hall Annex, MCCC’s James Kerney Campus, Trenton.In addition to interior improvements to Mercer County Community College’s main campus building in Trenton, this $5.6 million project re-uses a historic building and adds art and fashion design programs to the campus, as well as classrooms for computer instruction and a multiuse space on the fourth floor. The architect was Clarke Caton Hintz, of Trenton, and the builder was Dandrea Construction Co., of West Berlin. University Hall, William Paterson University, Wayne. 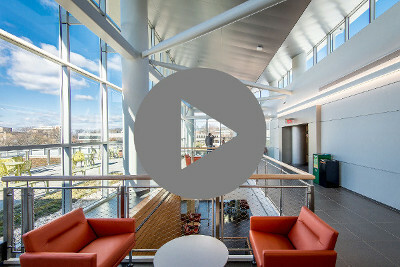 The university’s newest academic building is a $40 million, 80,000-square-foot state-of-the-art facility displaying an innovative use of large glass hallway windows to enable passersby to see the hands-on learning taking place as nursing students and faculty members care for a “patient.” Specialized classrooms and clinical spaces include the relocated Nel Bolger, RN nursing laboratory and nursing labs to train the next generation of nurses. 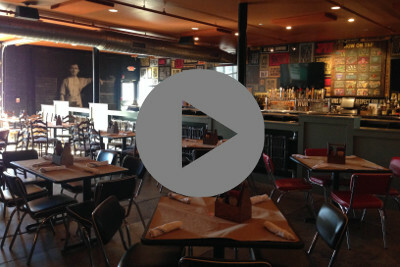 The project was designed by NK Architects, of Morristown, and the builder was Dobco, Inc., of Wayne.